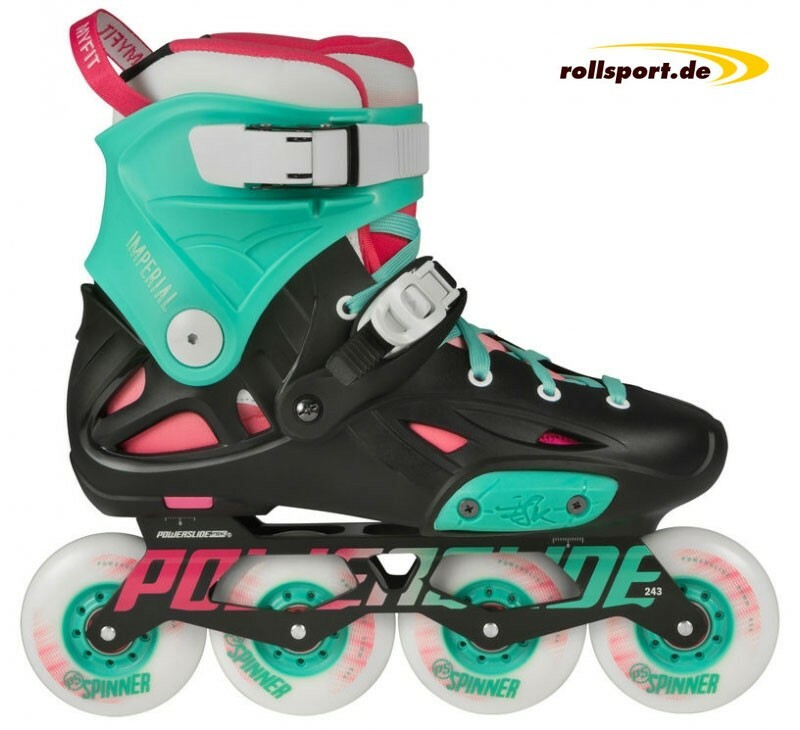 Powerslide Imperial One Fluor - the new Imperial One Fluor Freeskate is equipped with 80 mm wheels and ABEC 7 ball bearings. 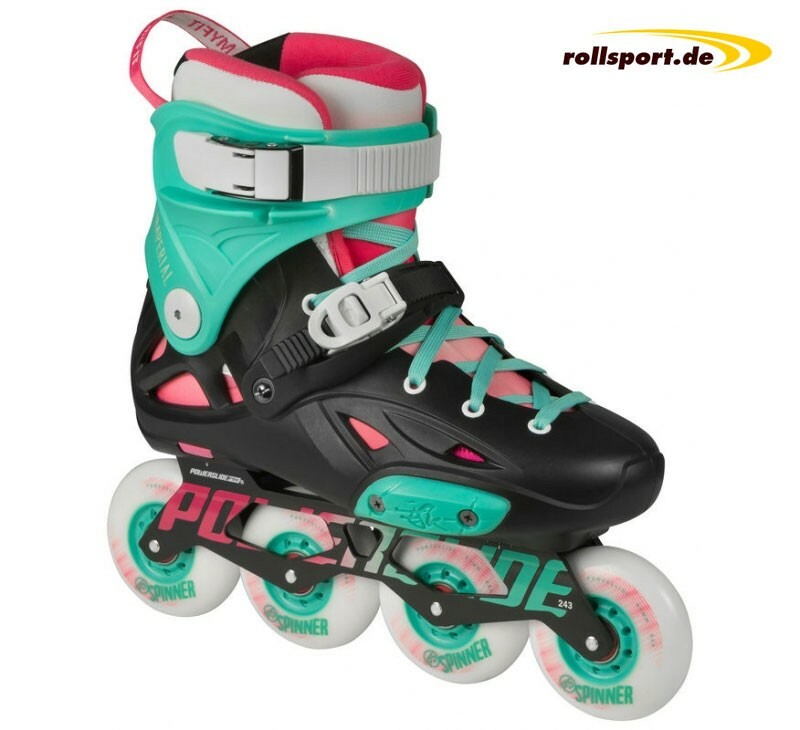 The Powerslide Imperial Top FSK Urban Inline Skates are the classic in the urban scene. The Powerslide Imperial One Fluor Freestyle Skate is opposed to its competitors, very airy but still compact. Optically simple and casual. On the installed 243mm long Powerslide Spider Alu frame are 4x 80 mm wheels with 85a wheel hardness screwed on. The ball bearings are Wicked freespin Abec 7 bearings. This skate is equipped with the Fat Boy Dual Fit System. The inner shoe adapts to the foot. Therefore the following size key is possible: 41/42, 43/44, 45/46.